"There's a new James who's doing the high-flying acts in Miami." 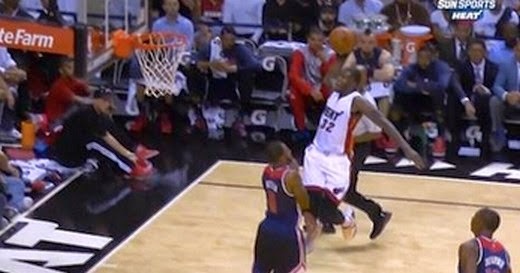 James Ennis, the new Miami Heat forward, is far from becoming the next LeBron James, but when he completed a poster dunk (could be the dunk of the year) on the NBA Veteran Rasual Butler of the Washington Wizards in the 8:51 mark of the fourth quarter of their game few days ago, the crowd and his teammates rose in unison as if it was LeBron who delivered that electrifying slamma jamma. The momentum shifted to the side of the Heat after that dunk. As a result, Miami won the game via 107-95 to start their campaign on a high note.